If you lock your car in a garage, why leave your saddle vulnerable to theft and damage? Today’s high-performance saddles can rival the investment in a new subcompact car while the average tack trunk is still mired in 19th century design and security. 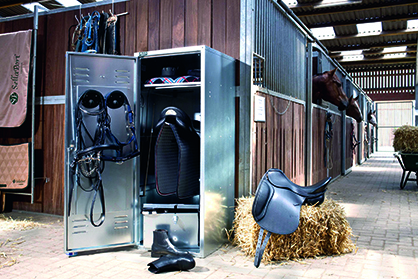 Meet SaddleLockers, the next generation in tack boxes, whose galvanized steel, foldable vertical lockers debut at Booth #727 from Equine Affaire-Ohio, April 10-13 in the Ohio Expo Center in Columbus. 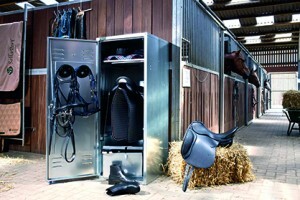 SaddleLockers offer a completely new approach to better security, privacy, ease and quality of storage for today’s high performance equestrian sports athletes. Why? Because they weren’t designed by a horse person. SaddleLockers.com creator Rainer Herrmann of HERCO, LLC works in Detroit’s automotive industry and was introduced to ‘horse life’ through his wife Megan’s dressage and their daughter’s riding lessons. 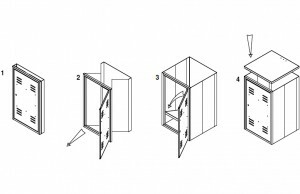 Applying his engineer’s objectivity to what he found at the barn, Herrmann didn’t decide to just pimp a tack box: he did an entire conceptual overhaul. 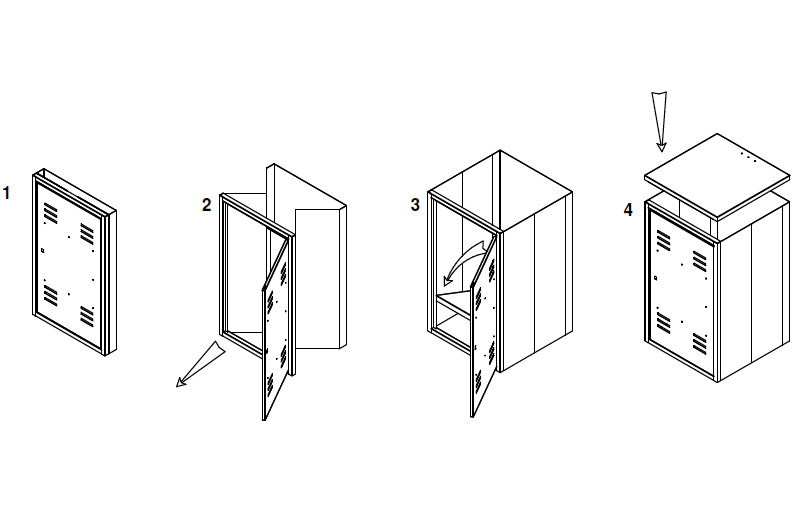 SaddleLockers are now the only equestrian foldable steel locker available for purchase in the U.S. Their accordion-style design allows a 180-lb., 71” x 30” x 30”, 20-gauge Stationary steel locker to be collapsed in one minute and moved to a new location. Equine Affaire, the largest horse-related trade show in North America, offers horse people of all disciplines, breed persuasions, and skill levels a chance to shop, network and learn from guest clinicians such as Jim Wofford, Janet Foy, Michael Barisone, Marc Johnson and Bernie Traurig. See EquineAffaire.com.